WASHINGTON, DC, January 11, 2012 (ENS) – Power plants were the largest stationary sources of greenhouse gas emissions in the 2010 calendar year, followed by petroleum refineries, according to greenhouse gas emissions data reported to the U.S. EPA by large facilities and suppliers across the country, published for the first time today. Carbon dioxide accounted for the largest share of direct greenhouse gas emissions with 95 percent, followed by methane with four percent, and nitrous oxide and several fluorinated gases accounting for the remaining one percent. The buildup of these gases in the atmosphere is responsible for the planet’s rising temperature, which has increased roughly 1.33°F (0.74°C) over the last century, according to the Intergovernmental Panel on Climate Change. More than half of this warming has occurred since 1979. The global average temperature for 2010 tied with 2005 as the warmest on record, according to the U.S. National Climatic Data Center. The EPA’s new online data publication tool allows users to view and sort greenhouse gas data for calendar year 2010 from over 6,700 facilities by facility, location, industrial sector, and the type and amount of greenhouse gas emitted. “The Greenhouse Gas Reporting Program data provides a critical tool for businesses and other innovators to find cost and fuel-saving efficiencies that reduce greenhouse gas emissions, and foster technologies to protect public health and the environment,” said Gina McCarthy, assistant administrator for EPA’s Office of Air and Radiation. For the year 2012, there were 100 facilities that each reported emissions over seven million metric tons of carbon dioxide equivalent (mmtCO2e), including 96 power plants, two iron and steel mills and two refineries. 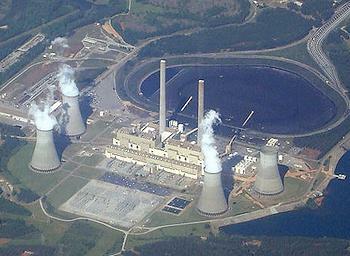 The largest single point-source for carbon dioxide emissions in 2012 was Georgia Power’s coal-fired Robert W Scherer power plant at Juliette, Georgia, just north of Macon, according to the new data. The fifth largest electric generating plant in the United States, Scherer has been high on the list of greenhouse gas emitters for years. It was ranked the 20th in the world in terms of carbon dioxide emissions by the Washington, DC-based think-tank Center for Global Development on its list of global power plants in November 2007 and was the only power plant in the United States listed as one of the world’s top 25 carbon dioxide emitters. Mandated by the FY2008 Consolidated Appropriations Act, EPA launched the Greenhouse Gas Reporting Program in October 2009. The program requires the reporting of greenhouse gas data from large emission sources across nine industry sectors, as well as from suppliers of products that would emit greenhouse gases if released or combusted. The data collected under the Greenhouse Gas Reporting Program will not replace the annual National Greenhouse Gas Inventory, the EPA explained in a statement today. The inventory fulfills U.S. government commitments to the UN Framework Convention on Climate Change to report on annual national greenhouse gas emissions. The inventory is also the best source of data for total U.S. greenhouse gas emissions across all sectors, the agency said.